I’m sure you’ve heard the expression, “like a bull in a china shop”. It essentially means being clumsily destructive. Or, causing damage without the intention of doing so... 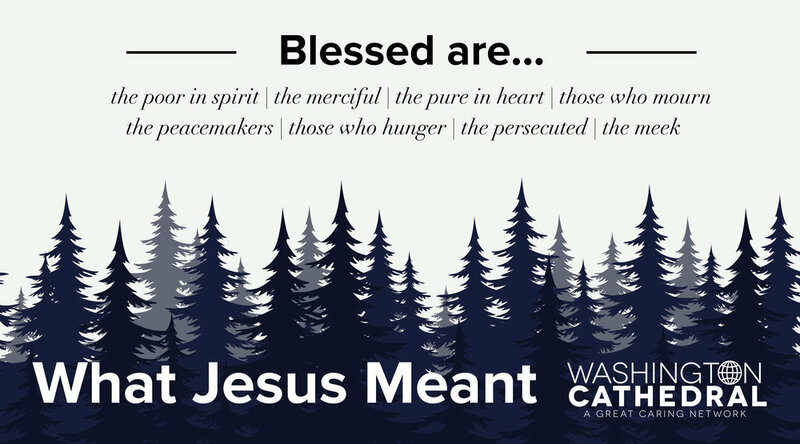 This past week, we took time to look at Jesus’ words in Matthew 5:5 where he says that God blesses those who are meek. Meek. What an interesting word! What could it possibly mean and why was it so important that Jesus talks about it in his Sermon on the Mount? The best way I can summarize the word “meek” is to say its the culmination of having humility, gentleness and self-control WHILE knowing that I also have my sinful nature which can be very destructive to both myself and others. In other words...we are very much like the bull living in a world full of value, beauty and fragility (the china shop). This life of meekness that Jesus teaches is not easily attained, nor are we born with it. It comes from our willingness to humbly submit ourselves to God’s authority and say yes to the ways of Jesus. Easier said, than done, right? I’m with you! But thankfully, we have something called grace on our side. When the bull in us decides to romp around the china shop leaving a wake of bad choices, hurtful actions and one big mess; we have God’s grace to lean on. Where would we be without the God’s grace and mercy? This week, let’s seek to allow the Holy Spirit to produce within us humility, gentleness and self-control as we learn to live for Jesus, knowing the bull within us is always there. May our prayer today be: “Jesus, I humbly surrender my entire self to you and your authority. 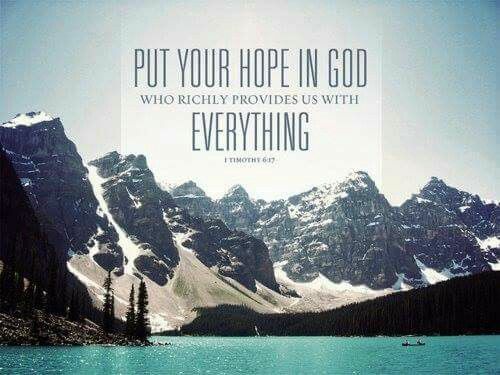 Help me to live a meek life today and to experience a greater blessing from the father”. “Blessed are those who mourn, for they will be comforted.” - Jesus Mourning...Sadness...Grief. Feelings every human being will experience on some level in their lifetime. Life has its ways of giving us opportunities to grieve a loss. Yet, no one is really ever an expert in mourning. There are therapists, books and online resources that help guide us through the long journey of grief, but never are we experts. Jesus’ promise to us is that when we find ourselves mourning, we are blessed with God’s approval and we will know His comfort. But how exactly does God comfort? After all, He doesn’t just show up and give us hugs like a friend would do. No, God comforts us by instilling joy deep within our hearts. David understood this when he wrote, “Weeping may last through the night, but joy comes in the morning” (Ps 30:5). Do you find yourself grieving today? Deeply saddened by a loss that hurts you to your very core? Allow me the opportunity to offer a couple thoughts on how we might experience God’s comfort and ultimately see that grief can be good. Grief is good when we invite others into our grieving. The temptation is to want to be alone and to just “get through this”. The danger in isolating ourselves is when we don’t have someone to talk with, we often develop unhealthy coping mechanisms. Grieving with others fights the pull to avoid feelings and hurts. Grief is good in that it reveals to us just how much we loved. When we grieve the loss of someone close to us, we can use that powerful sadness to show us just how much we opened ourselves to the person in love. It tells us that we’re capable of possessing powerful feelings of love for another person and that love brought us immense joy. Therein lies the comfort that God offers us when we mourn...the opportunity to know how deep our love was and the joy we knew and will continue to know because of our time with them. God is a good Father who will not abandon us when we mourn. In fact, I’m confident today that you will discover Him to be closer to you now, than ever before! The Reformation is one of the greatest events in history, in which Martin Luther started a movement, one that is still transforming lives today. This movement began when Luther rediscovered the Gospel, or Good News, of Jesus Christ in the book of Romans and reread the story of Jesus’s life and his Sermon on the Mount. Today the whole world, Catholic and Protestant, is impacted by that reformation. One of the biggest impacts was people beginning to read the Sermon on the Mount for themselves, it was revolutionary! It was beyond religious. This month, we began a series on the Sermon on the Mount, called “What Jesus Meant,” and as we focus on this life-changing sermon we can experience for ourselves what countless people before us have been inspired by. When St. Francis of Assisi first read the Sermon on the Mount it changed his life and how he lived out his faith. The present pope, Francis, is a reformer because of conviction in the Sermon on the Mount. They are life-altering words. Last week when I kicked off the series, I focused on the fact that God wants to bless us and that he wants us to cooperate with that blessing. Even more than being blessed, we are to become a blessing ourselves that is why Jesus called us the salt of the world, the light on a hill. We are called and encouraged to spread blessings into our communities and into the darkness. One of the dreams we have is to spread God’s blessings by working to end elective homelessness in our area. Let’s be thinking and dreaming about it. I have some ideas and I am sure that you do too. But the main thing is: let's get about the business of blessing others. And if you are lacking inspiration or feeling discouraged pick up your Bible and read the Sermon on the Mount (Matthew 5- 7). Soak in the life-changing words and rejoice! Shine with God’s love as you bless others.